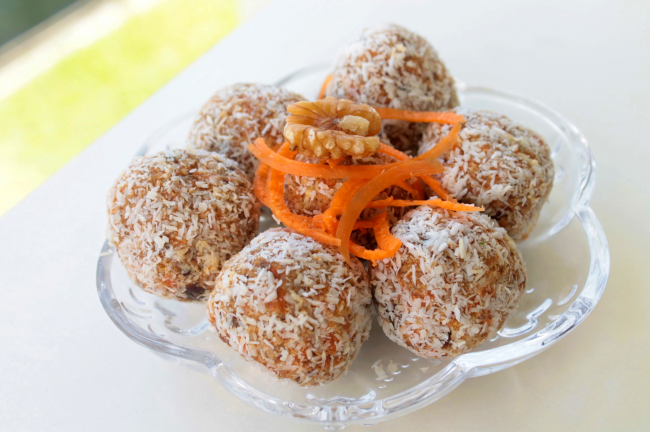 These delicious bites will satisfy anyone's Paleo, Gluten Free, Raw or Vegan needs. They are extremely easy to make! Slice carrots up to make it easier to blend. Blend carrots in a food processor/blender then add dates until thoroughly blended. Roll into 8 balls and dust with coconut. Refrigerate for 30 minutes before consuming.